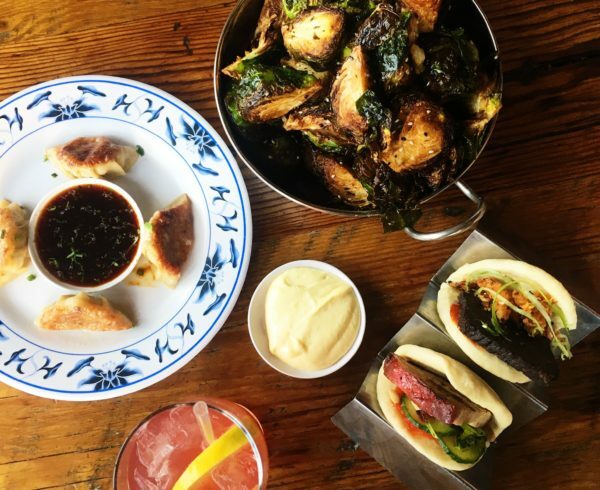 Home Asian For Every Kind of Meal in Denver, There’s a Patio for That! 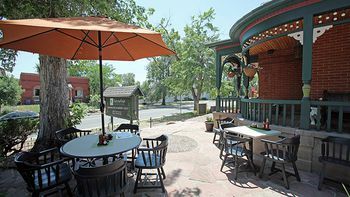 Abundant sunshine, crisp, clean air, and a minimal chance that you’ll have insects flying around your face while you’re trying to eat and drink, are only a few of the reasons that patio dining in Denver is one of the most enjoyable pastimes once Springtime hits. Although it seems as if we’ve been enjoying warm weather back since January, there’s a renewed energy in the air since the season has officially arrived. The vibrant, spirited energy of Denverites everywhere has taken over some incredibly unique patios around the city, for the experience of exceptional outside dining during almost any time of the day. 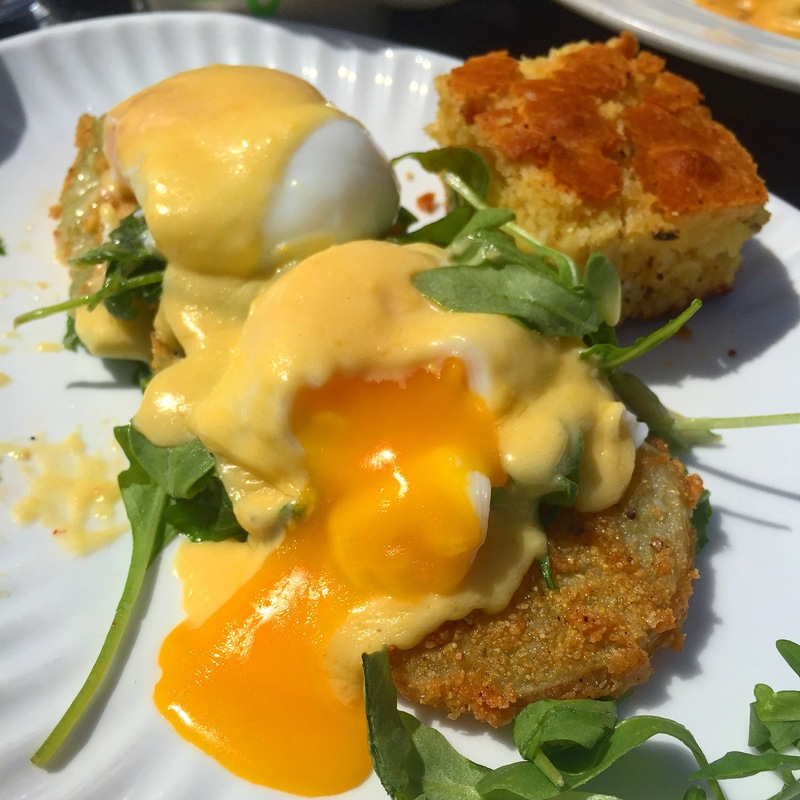 If you’re looking to start your day on a quaint patio of a historic, 19th century house, surrounded by blooming flowers and unique garden decor, head over to Sassafras American Eatery in Jefferson Park. If dining here over the weekend, order a mini bloody mary or mimosa flight (on the menu as the “Tour de France”) from the beverage counter inside the restaurant, and then go outside to grab a seat on one of the wooden benches alongside the patio while you wait for your table. If you’re not looking for a buzz quite so early in the morning, instead, opt for a specialty coffee beverage such as the Snickerdoodle Latte or a Mochaccino to sip on while you wait. When it’s time to eat, choose from a large menu of Southern-style grits, egg benedicts, biscuits and gravy, and unique Po’ Boy sandwiches. Go for a bowl of creamy mac and cheese with a runny egg on top if you’re heart is somewhere between brunch and lunch that day. And please, do not forget to order a New Orleans-style Beignet as a sweet ending to a hearty meal. Brunch on the patio of Sassafras American Eatery will have you feeling like you traveled to the Southern heart of the country this Spring. If you’re not ready to head inside just yet, mosey on over to Domo Japanese Country Restaurant for lunch, and transport yourself to a Japanese garden patio where you will want to spend all afternoon slurping Nanban Curry Soup Ramen, drinking tea served in large, ceramic Japanese mugs, or sampling Donburi rice bowls. Just outside the Japanese farmhouse that houses the main restaurant, Domo’s garden patio allows diners to sit on tree-stump benches at stone tables, shaded by large Japanese parasols in a beautiful garden lined with decor from the countryside. 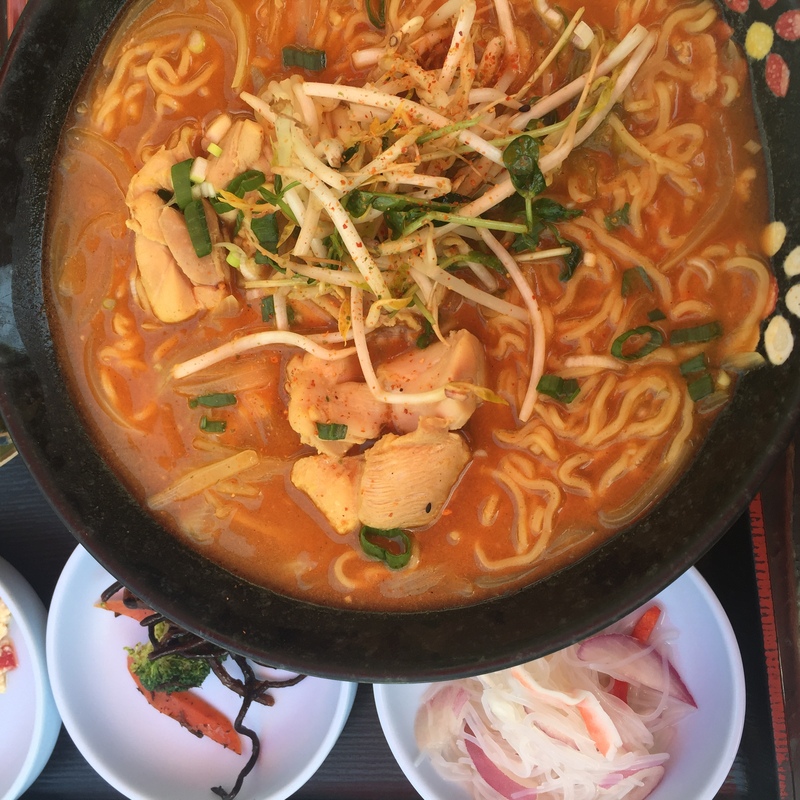 You can’t go wrong with ordering a teriyaki bowl, udon, or soba noodle. 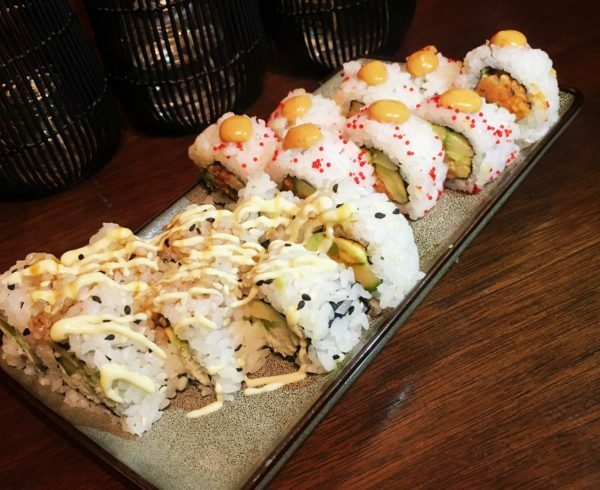 Just don’t ask for extra spice- the chef maintains authenticity to the food of his culture and prepares his dishes exactly as they should be spiced. Be sure to walk through the in-house museum on your way out of Domo’s hidden garden paradise before heading back to the buzzing streets of Denver! 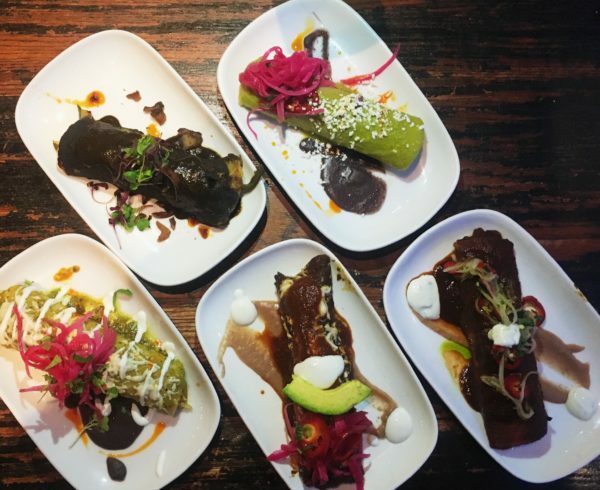 When it’s that thirsty time of the afternoon, head up to northwest Denver for happy hour on the small, but lively patio of Tacos, Tequila, Whiskey for some open-air Mexican dining. Garage doors on the outside of the restaurant have officially opened up this spring to a patio seating area that sits along a bustling 32nd street at the far end of Highlands Square. 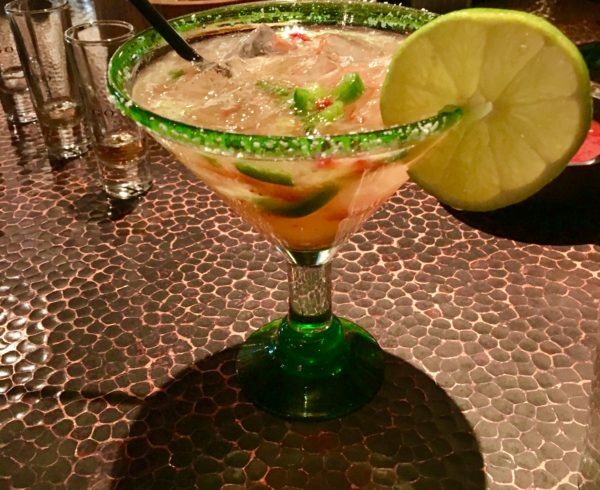 With a daily happy hour running from 3-6 and all evening on Mondays, you can’t go wrong with ordering a Pinche Paloma or Classic Coin marg to start off, along with some Queso Fundido al con Chorizo and house-made chips to munch on. The main menu provides a multitude of unique options for delicious street tacos, such as Mahi Mahi “Chimuchurri”, Pollo a la Crema, and the Hongos Taco, which has three different types of grilled mushrooms and creamed cilantro corn. At Tacos, Tequila Whiskey, the cilantro is fresh, the guacamole is creamy, and the salsas that come on every plate of taco are fire-hot. 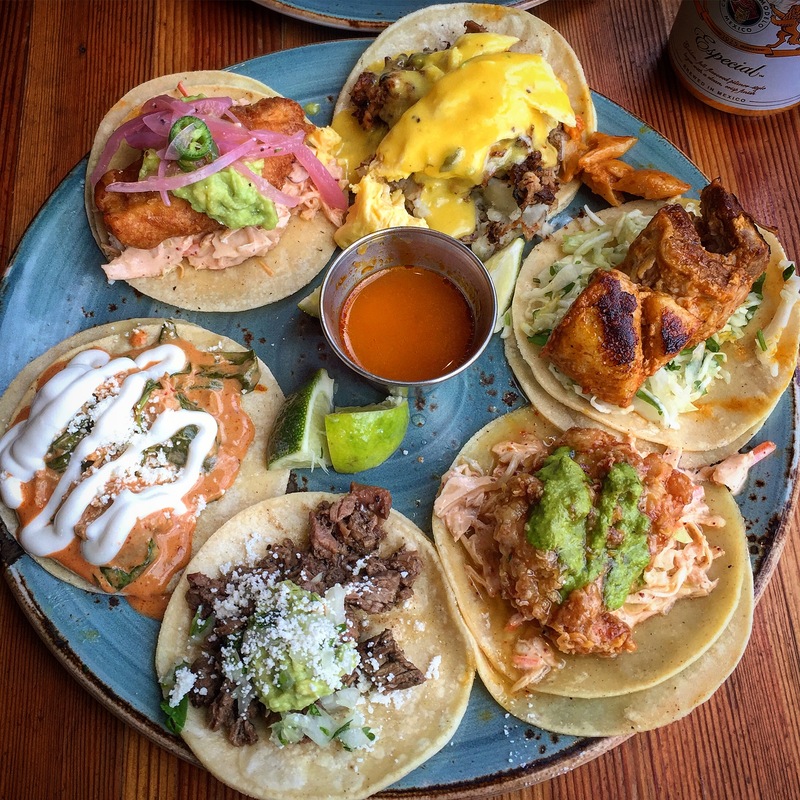 It really doesn’t get too much better than patio seating, margaritas, and tacos, which you will certainly find out for yourself after dining outdoors at the Tacos Tequila Whiskey Highlands location. There’s no reason your day of patio dining has to end with happy hour. 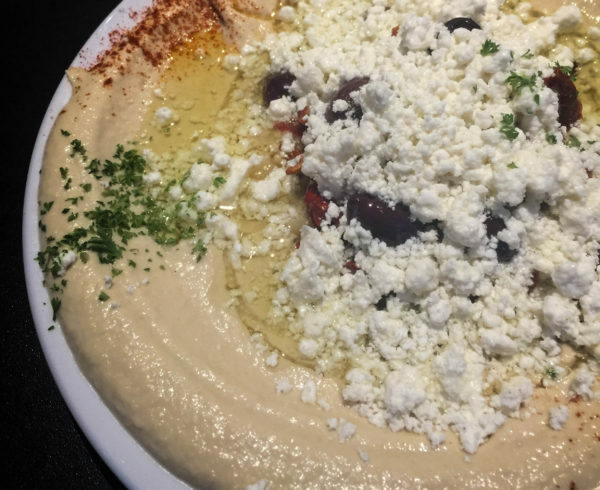 For dinner, make your way to The Odyssey Italian Restaurant and Wine Bar, located in Baker. 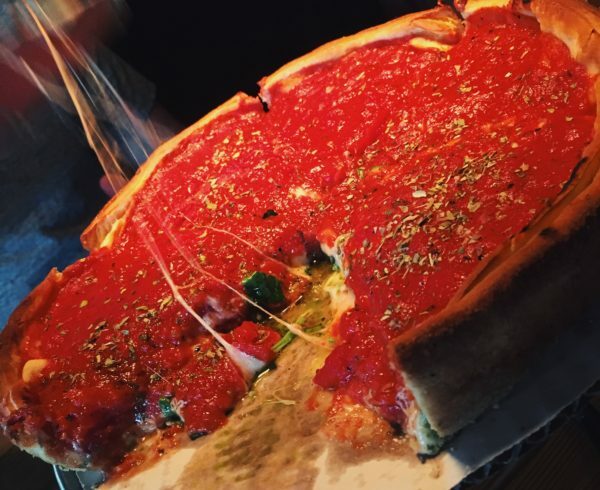 This neighborhood eatery offers guests a romantic patio on which you will enjoy fine bottles of wine, house-baked garlic bread warm right from the oven, and authentic Italian dishes inspired by Siciliy, the part of Italy that the owner, Ignazio, calls home. The patio at The Odyssey is small and cozy. In the evening, twinkling holiday lights strung across the balcony and old brick walls of the building exterior, create a romantic mood, perfect for wine drinking and spaghetti twirling. 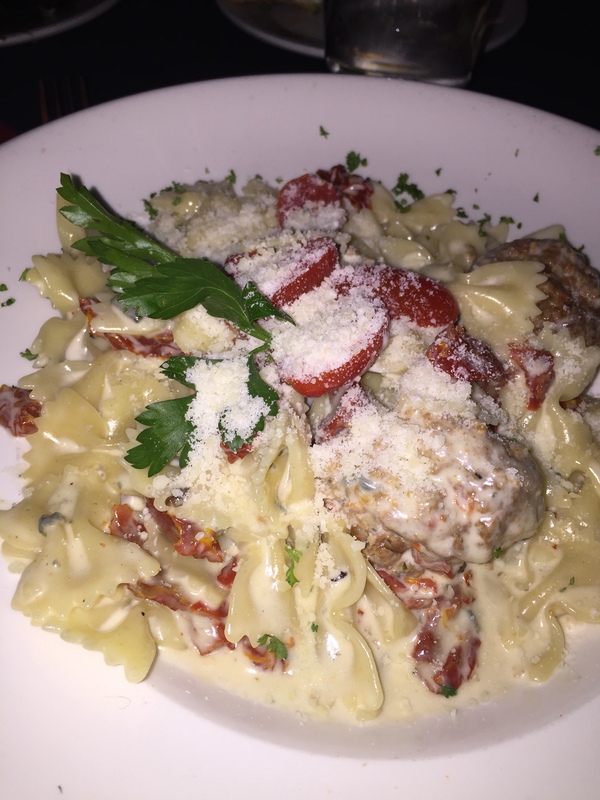 Order one of their creamy pasta dishes, such as the Carbonara or Bowtie Gorgonzola, which comes with a Caesar salad tossed in homemade dressing. Or, select one of their specialty dishes, such as the Osso Bucco Siciliano or homemade Lobster ravioli. Before you roll away at the end of the evening, order their famous Bananas Foster for dessert, which your wait staff will flambé for you right at your table. 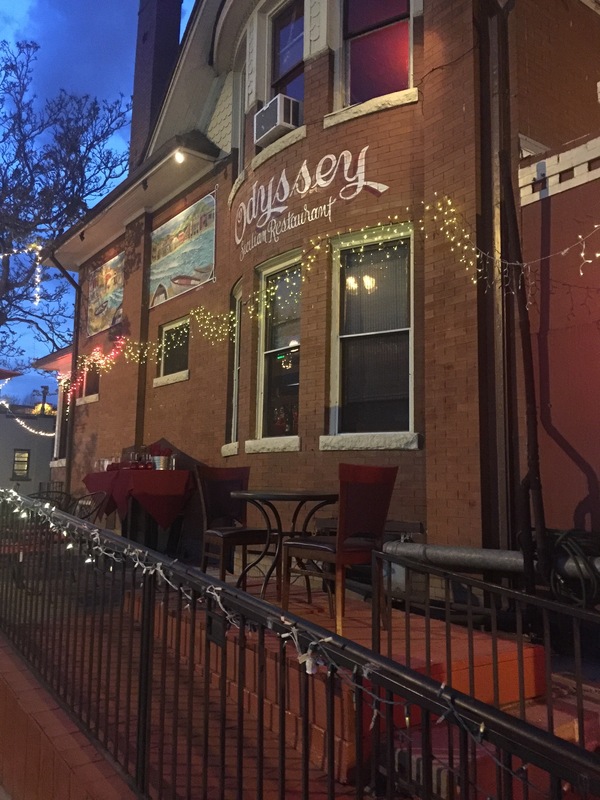 The Odyssey Italian Restaurant and Wine Bar is one patio that you’ll keep coming back to whenever you’re in the mood for a romantic and authentic Sicilian experience. 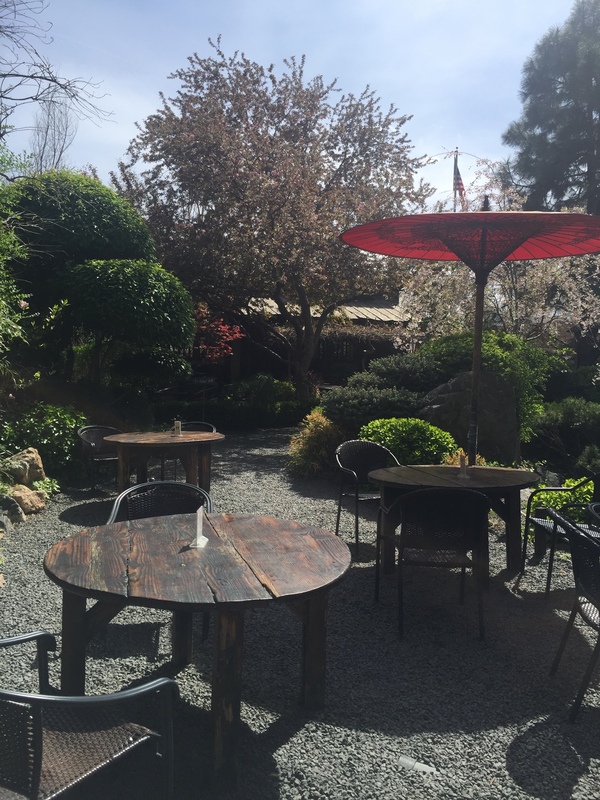 Although abundant sunshine is not something entirely new to the inhabitants of Denver, Spring is certainly here and that means patios are vivacious with diners enjoying the Springtime air. 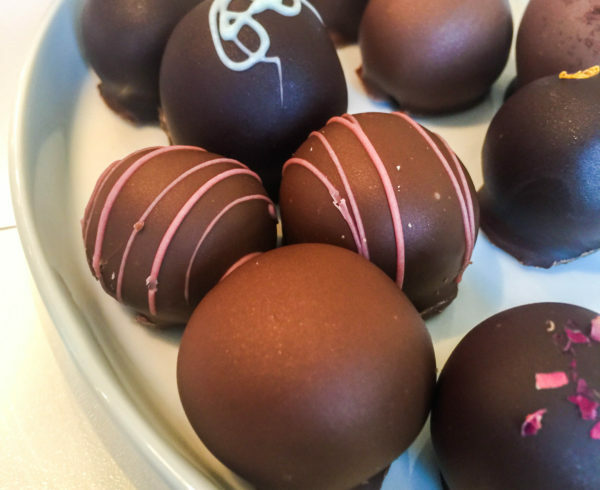 You won’t be disappointed with any of these unique Denver spots that boast distinctive outdoor eating experiences, as long as you’re a fan of sunshine, fresh air, and amazing food and drinks.